Recent events in Asia have reaffirmed the axiom that great opportunities tend to be accompanied by equally great risks. The Asia-Pacific Region’s growing global economic and political importance was a clear priority for all those attending APEC 2012 in Vladivostok. Representatives from economies across the globe gathered to discuss its promising future. But recent events in the region have reaffirmed the axiom that great opportunities tend to be accompanied by equally great risks. 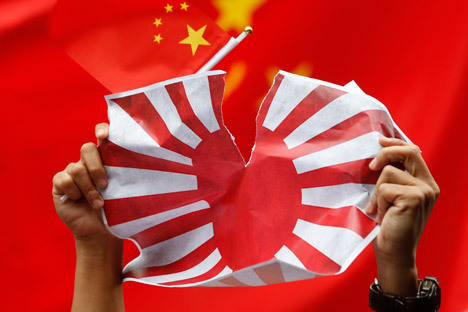 Relations between Japan and China are at their lowest point in decades. Tokyo’s decision to buy (from private owners) islands that China has laid claim to since the late 19th century provoked battle cries from Beijing. But the two countries will not go to war over the islands, as some may fear: the price would be too high. That said, these events do illustrate how relations are shaping up in Asia, and these trends are only likely to become more entrenched with time. Territorial claims are routine in regional politics. It would be faster to list the countries in the region that are not involved in any. All the major actors – China, Japan, Korea and India – boast highly complicated histories, up to and including territorial wars (such as between China and India). Smaller countries and territories – Vietnam, the Philippines, Malaysia, Indonesia and Taiwan – are also locked in an array of disputes over maritime and land territory. The degree of tension involved varies, but Asia’s political map is like a minefield in which any misstep risks triggering an explosion. Almost every territorial dispute is, at its core, about resources: oil, gas, rare earth elements, transit routes, fish etc. But if they were solely about resources, they could be settled – despite all the tensions and contradictions. It is difficult to divide resources in a way that both sides deem fair. But it is possible that reaching some kind of agreement, accomplishing some kind of profitable development, would be better than deadlock. Material benefits aside, these issues almost always carry an important intangible dimension – prestige. This is much more difficult, if not impossible, to resolve. Why has Japan decided to nationalize these islands? Most likely, Tokyo feels that the regional tide is rapidly turning against it. Russia is ostentatiously reaffirming its sovereignty over the Kuril Islands as a way to emphasize its broader rights and intentions in Asia (Dmitry Medvedev visited the islands as president and again, more recently, as prime minister). South Korea has taken similar steps, with its president also visiting territory that is disputed with Japan. Since last year, China has been declaring its special interests in adjacent seas, unnerving both its neighbours and the United States. Despite announcing its intention to refocus on Asia, America has again become bogged down in the Middle East, perhaps to an even greater extent than before. Under the circumstances, Tokyo clearly believes that the situation will deteriorate unless it takes resolute action. Nationalising the islands is merely a symbolic act in the broader ownership dispute. But pre-emptive strikes can be as critical in this, intensely symbolic, theatre of action, as they are in regular combat. In addition to this symbolic component, Japan’s actions may have a practical motivation. After talks with U.S. counterpart Leon Panetta, the Japanese defence minister said that Panetta assured him that the disputed islands fall under the U.S.-Japanese collective security treaty. In other words, the United States will defend its allies should any incidents arise. Panetta has not made any public comments to this effect, but it is clear that Washington would have little choice. America is concerned by China’s rising influence worldwide – but this concern is particularly acute when it comes to the Pacific. In part it is prompted by a certain hesitancy among its partners and allies. None seems particularly keen to face down China single-handed, and there are only two ways to avoid this scenario. You either need a reliable patron comparable or superior to China in power, or to develop relations with Beijing with a view to staying on its good side. The first course is only possible if everyone is confident of Washington’s willingness to confront China, should the need arise. If America is not ready, and acts evasively, the hesitancy already discerned among China’s neighbours will grow exponentially. It could even jeopardise the whole system of relations in the Asia-Pacific Region. Therefore, to a certain extent, Japan stands to gain by creating a situation in which the United States risks losing the trust of its allies by failing to back Tokyo. The aggravation in Washington is understandable. Analysts have long believed that confrontation between America and China, including potentially on military-political grounds, is inevitable. Aware that it is still considerably weaker in terms of military might, Beijing has tried for many years to avoid disputes that could trigger such conflicts. In his time, Deng Xiaoping argued that China should build up its economic might, while avoiding political disputes. Beijing has been finding it harder to resist this temptation in recent years. It has not dared be too provocative, although regional tensions are increasingly prompting it to adopt a distinctly feistier attitude. America would stand to gain from this. If Beijing were to test Washington, it might wind up on the losing side, which would largely kill any desire it might have to throw down the political gauntlet. In other words, as it stands, Washington is practically guaranteed success in a hypothetical conflict, though it is difficult to predict what will happen 15 or 20 years’ time. This is something that Beijing appears to understand. It is why its warships approach the disputed zone – but go no further. Aggressive incursions are made only by unarmed seiners – strictly civilian vessels. They number into the hundreds, which may lend them a formidable air, but it is difficult to find fault with them formally. Any attack on them by Japan would be perceived as an act of aggression. The latest conflict over these nationalised islands will most likely abate. China and Japan will break even, leaving the next round of escalation until later. For the time being, neither side is ready to sacrifice their extensive economic ties. But the political conflict will not vanish. It will remain an unsettling presence on the sidelines, periodically – it will escalate, becoming more acute with each subsequent escalation. In this context, Russia’s role will be to monitor developments – not to take sides. We can still enjoy the privilege of being a passive onlooker – a rare luxury that the United States cannot afford.